Col d’Orcia’s top Brunello, the Poggio al Vento, is much sought after by winelovers and collectors alike. Perhaps less known but at times almost as good is the estate’s Brunello di Montalcino Riserva, which was made up to and including the 1995 vintage (the estate has since ceased bottling the Riserva in order to avoid running the risk of affecting the quality of the classic Brunello that is made every year). 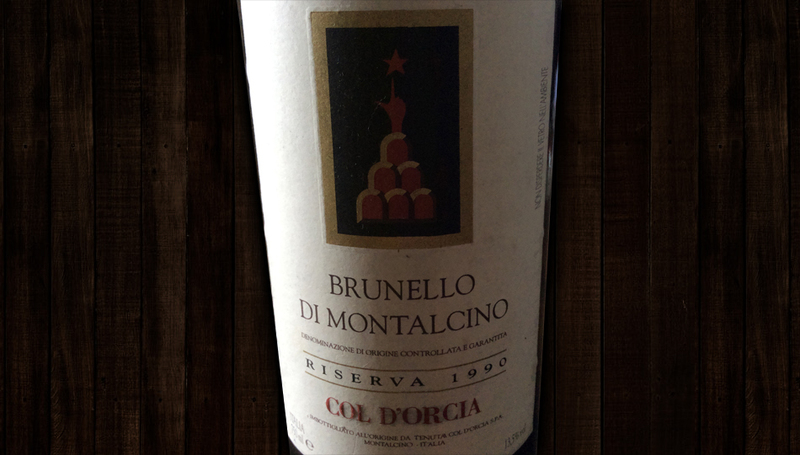 The 1990 Col d’Orcia Brunello di Montalcino Riserva is one of the best Riservas ever made at the estate thanks to a memorable, century-like vintage for the denominazione (a vintage that is also noteworthy for a remarkably good and still youthful Col d’Orcia Brunello normale). The Riserva of course is even better: still vibrant but harmonious, with an amber rim and delicate sour red cherry and tar aromas and flavors complicated by tobacco and underbrush. Like all the Riservas here, the 1990 is a selection of the best casks in the cellar of that vintage. The grapes were culled from the Banditella and Nastagio vineyards (which are separate from the Poggio al Vento vineyard, a site with altogether different characteristics). For comparison’s sake, while the 1990 Poggio al Vento Brunello spent 63 months in oak, the Riserva tallied 48 months in 75 hl and 25 hl sized oak barrels. 93. Drink: now-2022.